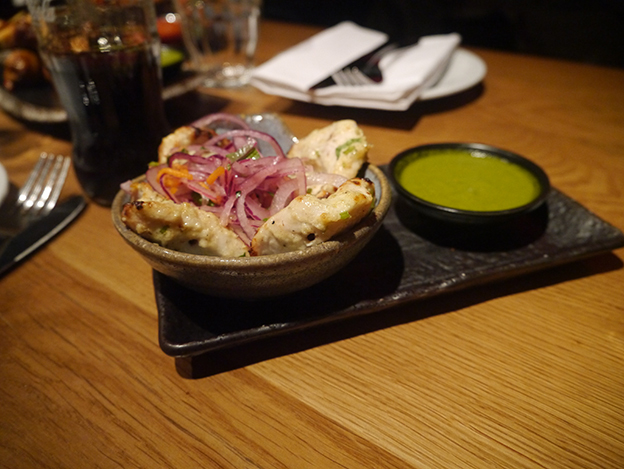 Roti Chai is, fortunately, one of the good ones and doesn’t just specialise in curries, but incorporates delicious Indian street food into their menu. 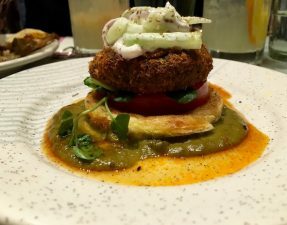 The restaurant is split into two: the street kitchen, which is upstairs and serves staples such as chicken lollipops and behl puri, and the dining room, which is downstairs and has menu items like aloo tikka chaat and Bengali crab & fishcake. Having visited Bombay twice in the last couple of years, I was reminiscing about all the enjoyable times that I had had. 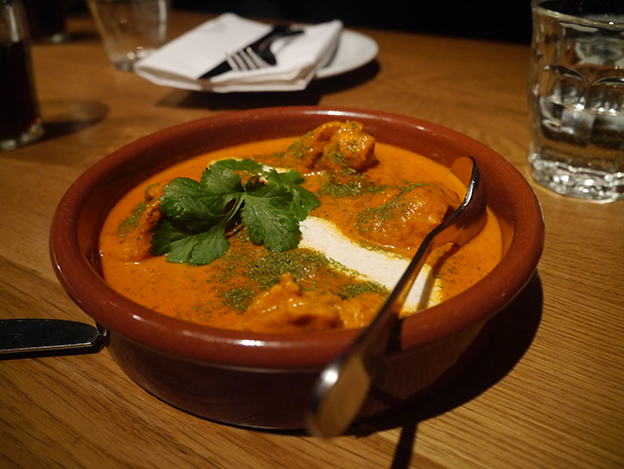 Well, it was more so about all the delicious food that I had eaten but wanting to relive those tasty times, the family, BW and I made our way over to Roti Chai situated a block away from the jam packed Oxford Street. We decided to be a little adventurous and chose the downstairs’ fine dining section. The atmosphere downstairs was a lot more lively and intimate in comparison to the street section, and every table was full up – luckily for us, we had booked. Having visited the restaurant before, Brother B knew exactly what to get and placed the order before some of us could even pick up the menu! 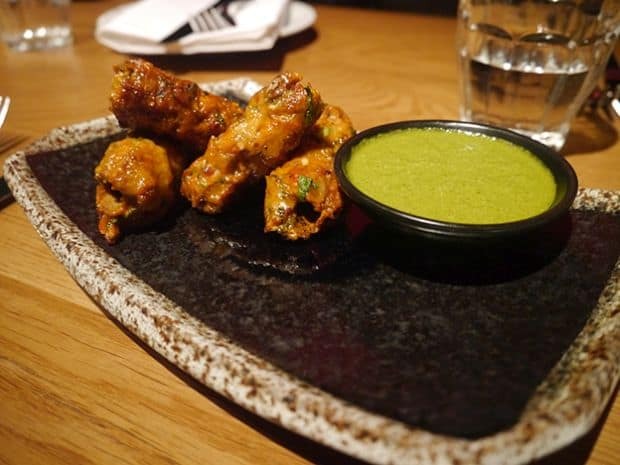 This time, instead of the strong tandoori red chicken chunks we are used to, the creamy (hence ‘malai) chicken tikka came pale in colour but bursting with even more flavour than your average tikka. Roti Chai wasn’t dishing out old, warmed-up-in-the-microwave food; this chicken dish was fresh as the white meat was succulent and you could taste the charcoal meaning it was straight from the tandoor. This chicken dish was originated from Chennai and earned its name according to the year it was created in. 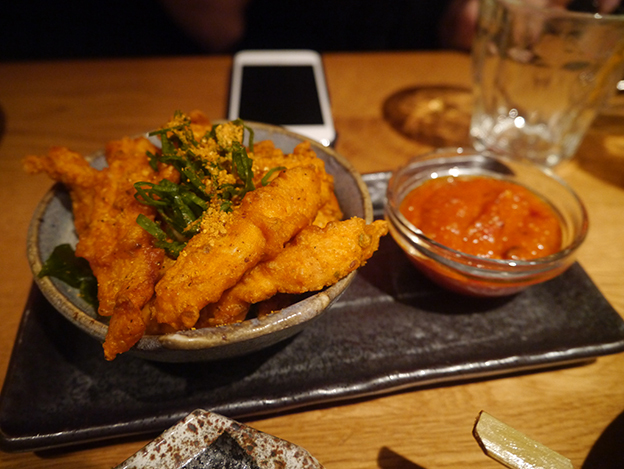 The crispy, fried chicken goujons came hot to the table with a tasty tomato-based sauce – perfect for dunking the chicken strips in – however weren’t as ‘fiery’ as the menu stated. 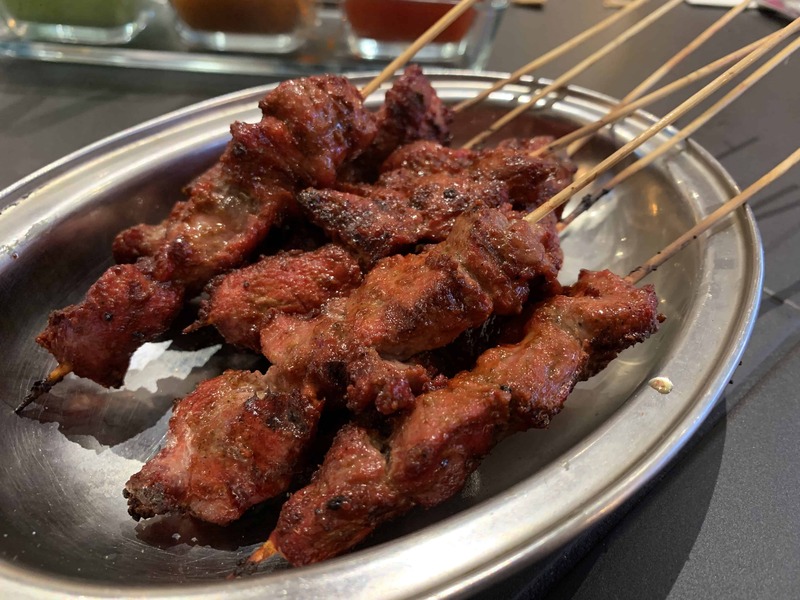 These were mini, juicy lamb kebabs and like the chicken tikka, you could taste the fresh charcoal-y flavour meaning it had just been freshly grilled. Albeit being enjoyable, this was a simple dish that would be difficult to get wrong. My favourite out of the bunch! Four mini wheat crisps came piled high with chickpeas, chopped onions, coriander, soft potatoes and a dollop of yoghurt. Tamarind chutney and small pomegranate seeds were then sprinkled on top which added a sweet touch to the otherwise savoury dish. 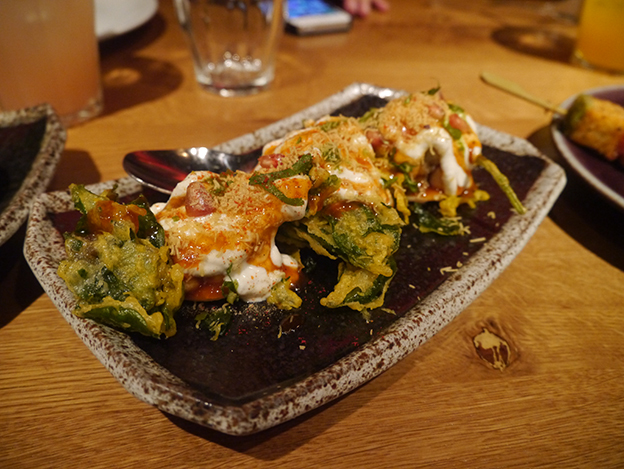 The spinach (‘palak’) were fried and crispy, and placed on the side of the dish. One of my favourite dishes to order at an indian restaurant is chilli paneer (cottage cheese). The paneer shouldn’t be too soft nor hard, and must have the right amount of squidge when you bite into it. 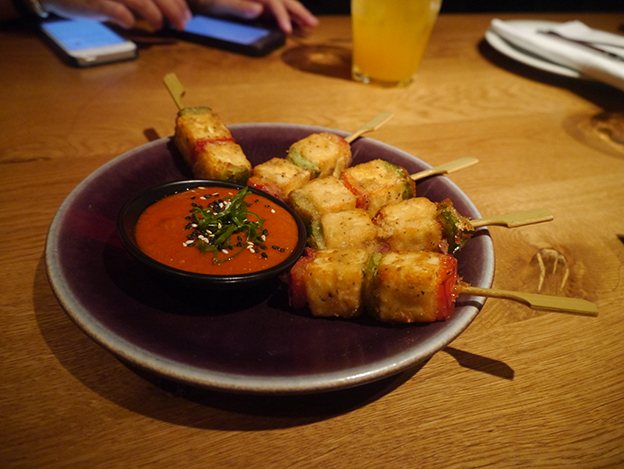 This chilli paneer came fried and skewered with green and red peppers but unfortunately did not live up to its name of Szechuan chilli as it was not remotely spicy but was delicious regardless. 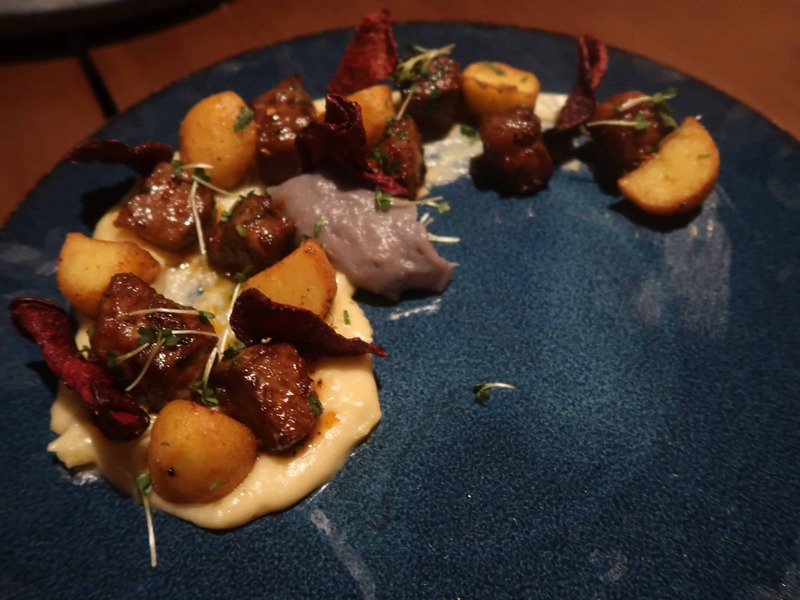 This dish happens to be one of the most popular dishes at the restaurant and I can see why. Moist, slow cooked chicken chunks were drowned in a rich and creamy, buttery sauce and the plate was scraped clean before I even had the chance to sample it! Luckily, I managed to get the waiter to bring a second serving but was only left with one chicken piece before being made to share with everyone else! 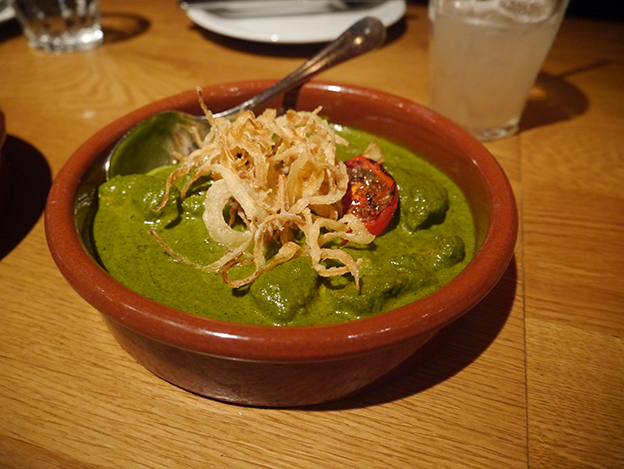 When this arrived, all I saw was green gloop but upon digging around the curry, I realised the green sauce was the pureed palak (spinach) and the blobs were the soft, tender lamb. Both the lamb and palak complemented each other really well and fared even better when eaten with the fried, crunchy onions placed on top. 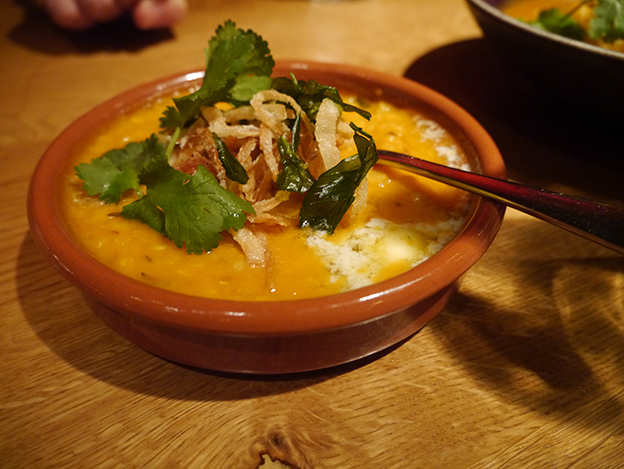 The yellow lentil curry is usually a good accompaniment to an Indian meal however Roti Chai’s version lacked in flavour and was slightly too watery. 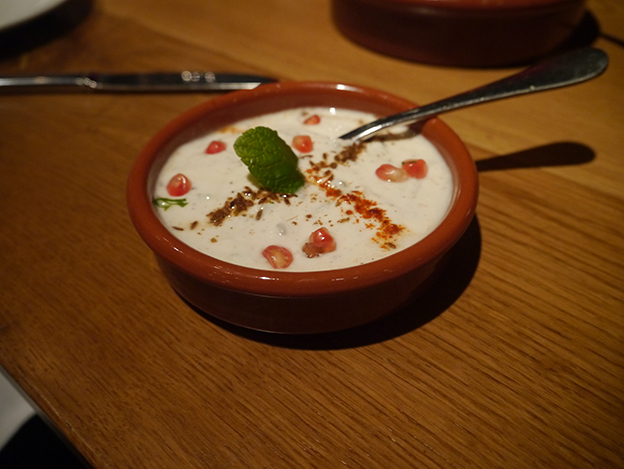 All three curries were accompanied by fluffy rice, raita and roti, which wasn’t anything out of the ordinary. Roti Chai’s portions are small meaning we had to order several plates between us just for the starters so the bill began to slowly increase. However, having eaten plenty for appetisers, we didn’t feel the need to order more main meals and just three or four mains between the 10 of us were enough to keep us satisfied. 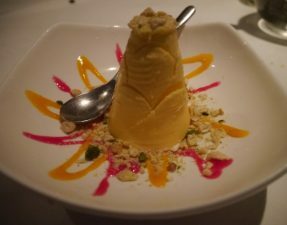 For those expecting hole-in-the-wall Indian food, this isn’t the place for you as Roti Chai has put a commercial twist on their classic curry house dishes so that their food can be enjoyed by all however this isn’t necessarily a bad thing. 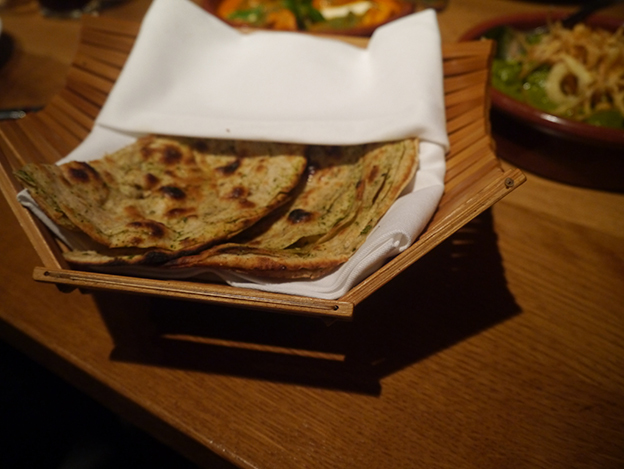 Roti Chai excelled at their starters and I could barely find any faults with these. This was the food that I had been eating in Bombay’s streets almost 4 years ago. On the other hand, the curries that we had ordered were good but not up to the same standards as the appetisers. 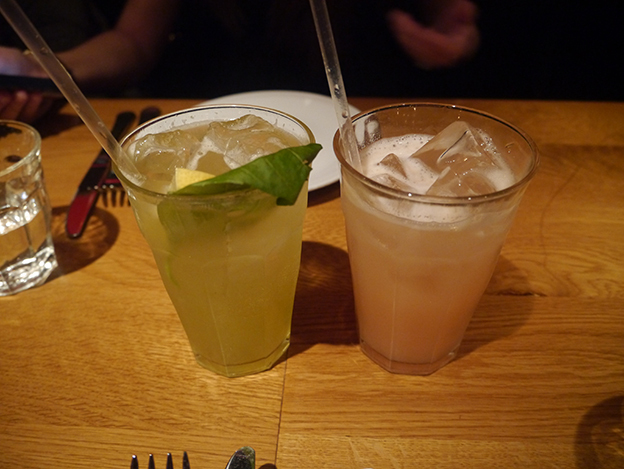 The bill amounted to £266 for ten of us, including mocktails and a round of masala tea (a great way to end the meal! 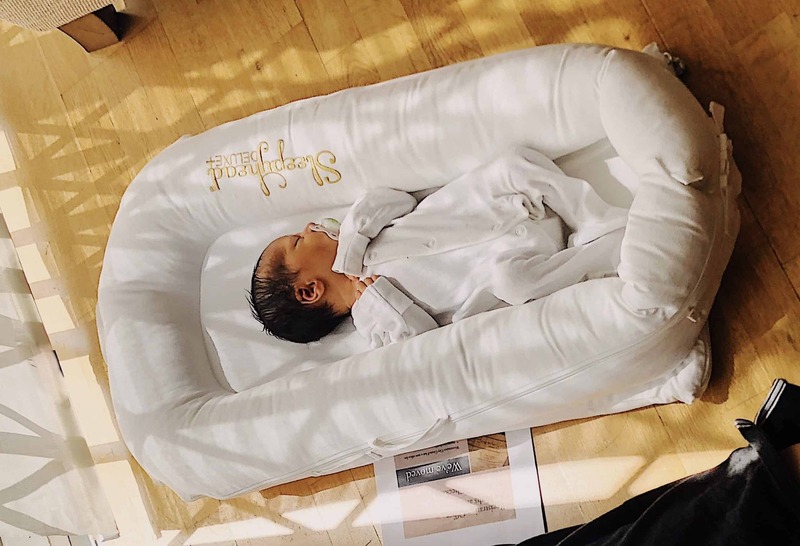 ), meaning approximately £27 per head. This was not as cheap as expected but considering this was “fine-dining” and that several plates of the same dish had to be ordered, the bill was a fair amount. 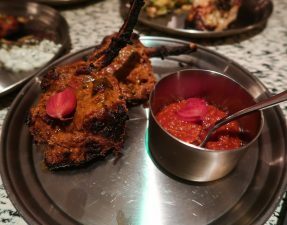 If you’re in the mood for a warm, comforting curry, especially in this bitter winter, then give your mum/local balti house a break and head over to Roti Chai. 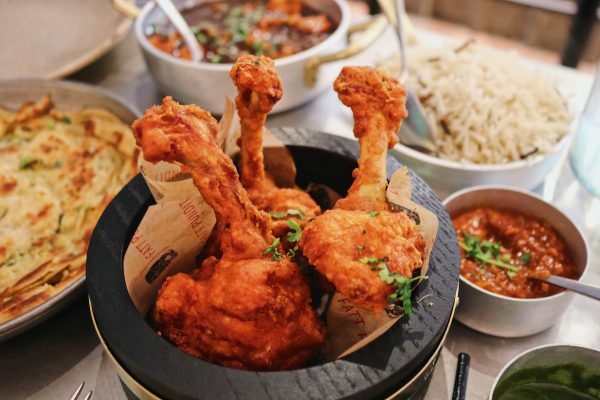 It’s a completely different halal experience for those who haven’t’ had Indian street food before and it’s a great way to spend the evening before heading down Oxford street to see all the amazing Christmas window displays! Parking: Plenty of parking in the evenings outside the restaurant or around the corner. This looks so appetising! I’m trying not to lick the screen. 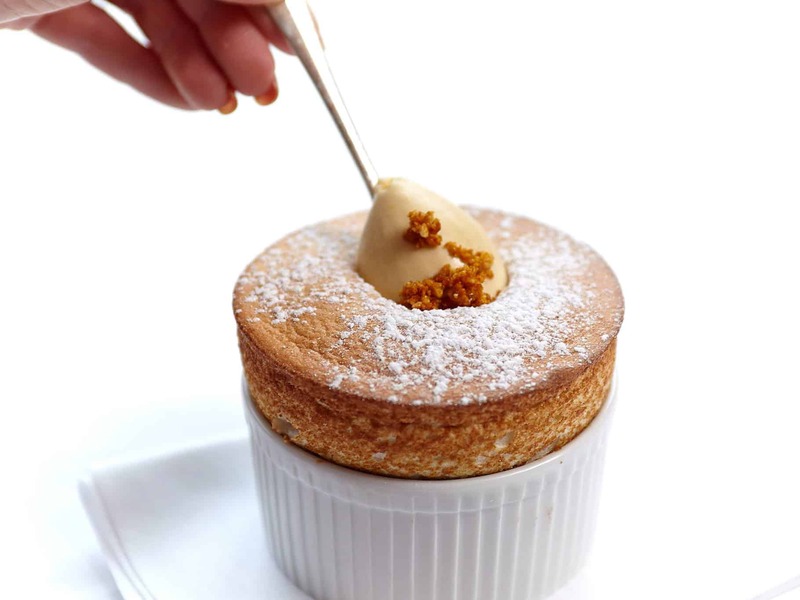 I will definitely try this especially as I’m always looking for accessible places to eat in the west end. I guess for the sake of comparison, how does this compare to Dishoom? Difficult for comparison purposes because I didn’t have the same dishes but I definitely prefer Roti Chai ! I have been to this place and I have to say the starters are by far the best part of this place. Service is awful they might want to work on that. Travelling from the north down to London next week, this has been very helpful! JA! A lot of the nice Indian restaurants in Central London do tend to sell alcohol in their restaurants [only way to get loads of customers sadly to survive]! It may be worth checking out Indian restaurants situated in Southall or Brick Lane as they don’t tend to serve alcohol on their premises. I don’t think Roti Chai do serve HMC meat unfortunately.